Haiblum, Isidore. The Tsaddik of the Seven Wonders . Ballantine 1971. 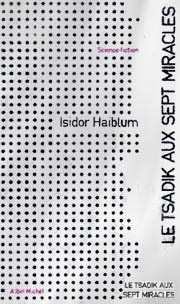 Haiblum, Isidore. The Tsaddik of the Seven Wonders . Translated to the French as Le Tsadik aux sept miracles , Michel 1973. What if: Mattathias's Hasmonian revolt against King Antiochus never occurred or the defenders of Masada had a great leader who was able to defeat the besieging Romans. Summary: Considers various alternative events in Jewish history, with some receiving more attention than others. Published: Ballantine 1971 and Doubleday 1981 (0385171374). 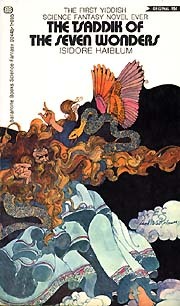 Translation: French by Michel Chrestien as Le Tsadik aux sept miracles , Michel 1973. Translation: German by Ingrid Herrmann as Der Zadik der sieben Wunder , Heyne 1994 (3453072669). Translation: Hebrew by Amos Gefen as Azhadic shell sheva aniflaot , Masada 1981.